PowerScore allows users to define criteria to automatically score leads and contacts. PowerObjects, a professional services firm 100% focused on providing service, support, education and add-ons for Microsoft Dynamics CRM, has just released a new add-on—PowerScore. 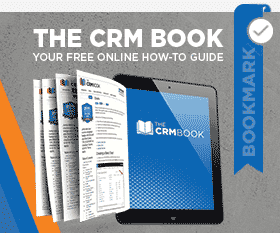 This Microsoft Dynamics CRM lead scoring tool allows users to define criteria using lead and contact behavior that automatically scores leads and contacts. PowerScore is one of several Dynamics CRM add-ons in the PowerPack suite that the company offers. PowerScore takes a lead or a contact’s behavior—such as filling out web forms, clicking on links in a bulk email, or visiting pages on a website—and calculates that behavior into a score. This score can be used as a quick reference as to how engaged the lead or the contact is. PowerScore will also allow you to see each lead or contact’s score and how those scores were determined. Like all PowerPack add-ons, PowerScore is available for a free thirty-day trial. PowerScore can also be downloaded directly from the PowerObjects website. PowerObjects is currently promoting this add-on by offering it free if users subscribe to 2 or more additional PowerPack add-ons.